Makeology introduces the emerging landscape of the Maker Movement and its connection to interest-driven learning. While the movement is fueled in part by new tools, technologies, and online communities available to today’s makers, its simultaneous emphasis on engaging the world through design and sharing with others harkens back to early educational predecessors including Froebel, Dewey, Montessori, and Papert. 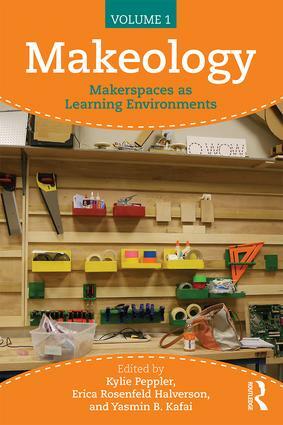 Makerspaces as Learning Environments (Volume 1) focuses on making in a variety of educational ecosystems, spanning nursery schools, K-12 environments, higher education, museums, and after-school spaces. Each chapter closes with a set of practical takeaways for educators, researchers, and parents.